We are in our cold snap now. Highs only around 10F, minus 12 C if we are lucky and probably not even that high. I was in Missouri for a few days at Christmas and got lots of photos of birds. My in-laws have a great viewing area with an upper deck and a nice Ornamental Pear tree for them to perch in. 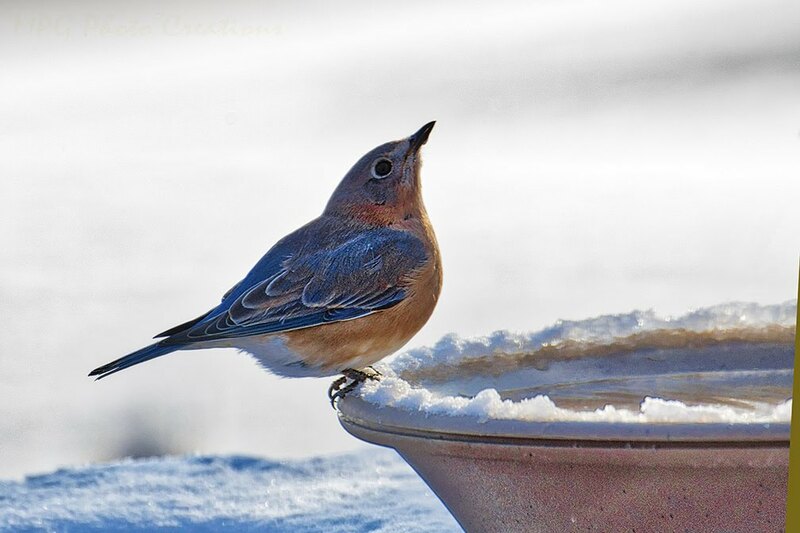 I captured this Bluebird which was one of several to visit the bird bath for a drink. It stretches it's head way up to swallow and made for a nice pose.